When I saw the ChiChi Rich Gems palette there were only two colours in there that were screaming my name and I had to have that palette. Luckily for me, my blogger friend Tried and Tested sent me one in the Halloween swap that we did last year. Although we are not into Autumn yet it sure does feel like it here in Melbourne. 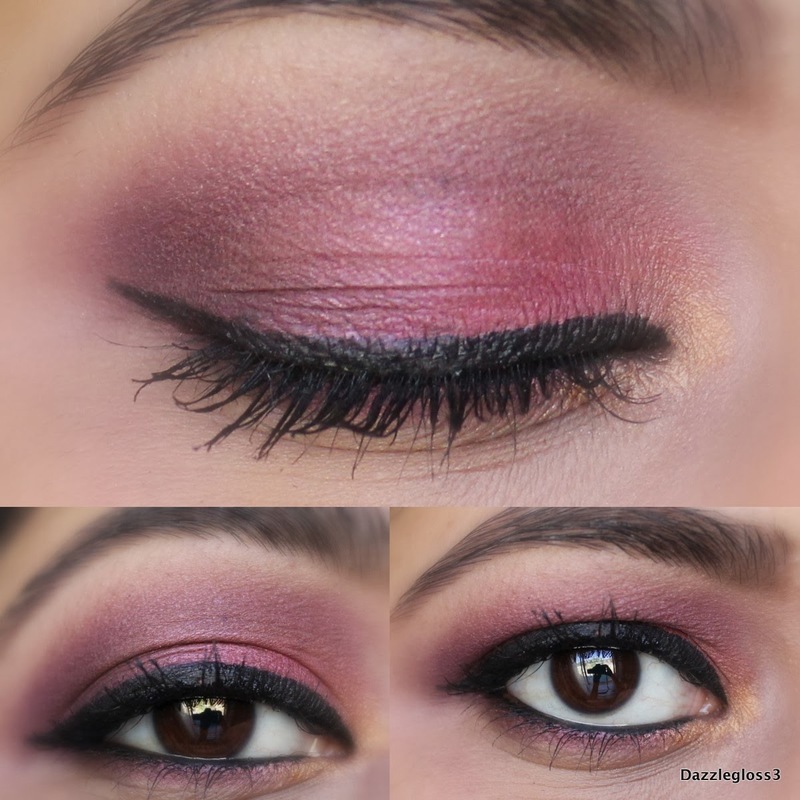 Since Autumn/Winter is fast approaching for us Aussies, I thought of doing this cranberry eye makeup that will surely catch everyones attention. First of all I primed my lids using the Too Faced Shadow Insurance. Then I used the cranberry shadow marked 1 in the palette all over my lid, keeping it below the crease. Eyeshadow 2 went in the outer corner and blended it through the crease. The bright purple eyeshadow marked 3 was used just on the outer corner to intensify and create depth. The eyeshadow in Matte Tan by Gorgeous cosmetics was used to blend just above the crease for a soft finish. I then used the gold shade from the Rich Gems palette in the inner corner of my eye to brighten it up a little. For the lower lashline I smudged some of that cranberry shadow to balance out the look. Finished it off with some black liner and mascara. Hope you enjoyed this look and if you do try it out using similar colours, post a picture on Instagram or Twitter and tag me @dazzlegloss3.